ArtFire Chainmaille Guild: Monthly Challenge Winner! 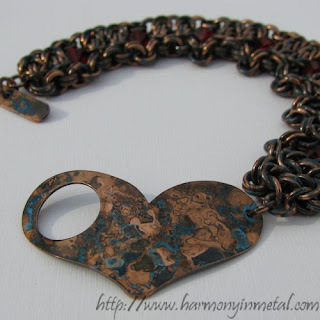 We have a winner in the ArtFire Chainmaille Guild Monthly Challenge - Fire and Ice! Wonderful piece! Thank you to everyone who entered and everyone who voted and helped us chose a winner! It sure is a beauty! Congrats! August Monthly Challenge - Voting Time!